Country Living just 10 miles west of Adrian. 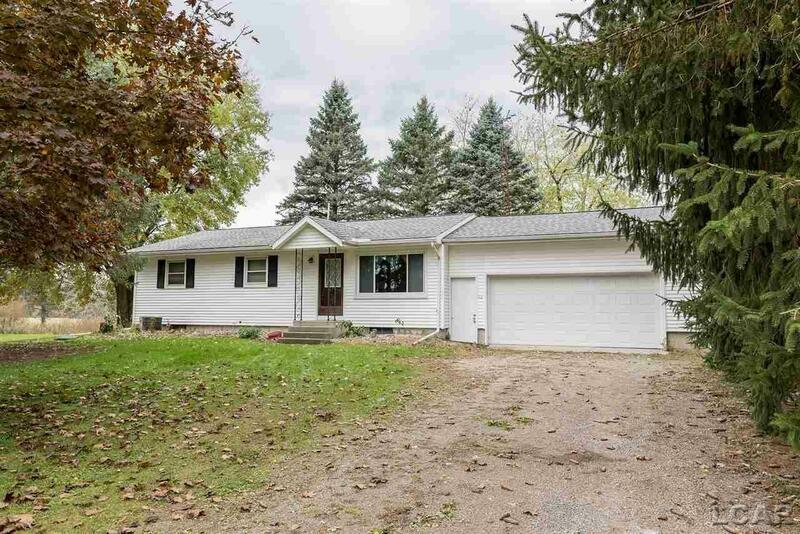 This 3 BR 1 Bath ranch home has updated roof and siding and offers immediate occupancy. Large kitchen, dining and living room. Full dry basement and deck off the dining room overlooking 5.5 acres of land.